Messy Play…l want to love you! When I pictured myself as a mummy, it involved lots of colouring, painting and crating…well things haven’t turned out how I thought they would. I have a love/hate relationship with play dough, I love watching Alice make things with it and seeing her imagination go into overdrive…but, I hate the colours getting mixed up and would only give Alice one colour at a time! Alice loves to do colouring, most days she will ask to do colouring and I love it. She will sit for quite a long time making pictures for the people in her life. 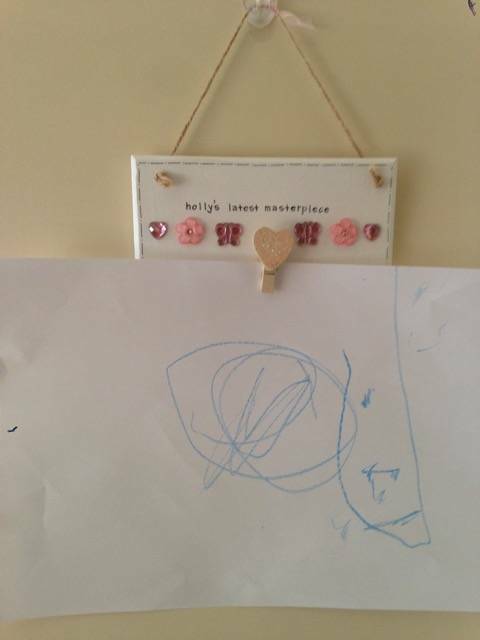 Her pictures are developing overtime and I can now tell what they are meant to be…I know colouring isn’t really messy play, maybe that’s why I love it. Now painting…I want to love you. I have a lovely box filled with every colour of paint that you would need, with pots and brushes, splash mats, aprons and sponge rollers, I am well prepared. It all starts of well, the right brush is in the right colour pot and the water pot hasn’t been knocked over. But its not long before the brushes start to get mixed up and in the wrong pot and I can feel myself getting tense again! Then she hops down shouting ‘finished’ and I am left with the clearing up and lots of wet paper to get dry and lovingly hang up. But, Alice loves it and I do try and ‘yes’ most of the time when she asks me. 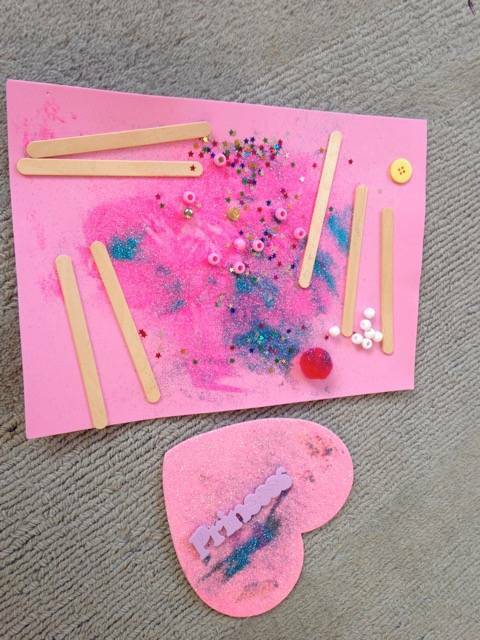 A couple of weeks ago, a friend asked us along to a messy play session at a centre near us and I nearly said ‘no’, mainly because I hadn’t taken both girls to messy play on my own. But, I didn’t say ‘no’, I thought I have to give it ago, surely it won’t be that bad. As I arrive and look around the room at all the different activities, I can feel myself getting tense and asking myself why have I come. I made sure that both girls were dressed in clothes that I wasn’t worried about getting ruined and I told myself before we arrived not to stress about it. But, I just can’t do it. All I can think is, ok I don’t mind you getting those clothes dirty, but what about putting your coat back on and what about getting into the car seat. Then I turned around and there was a child running towards us covered head to toe in paint and I thought, don’t touch us. I applaud the mummy running behind them, who was happily watching their child run round covered in paint. Now Holly is older and wants to get involved, it’s even more of a challenge to keep them both mess free! But, then I feel bad, as it’s called ‘Messy Play’ for a reason and I know that I need to totally chill out about it all and let get messy…I will try, I promise! I want to be the mummy that can let the stains on the floor and furniture wash over me, I don’t want my girls to be worried about having fun in case mummy gets upset about the mess. This is something that I will overcome and I have taken small steps with the play dough, maybe in the summer months when the mess can be done outside I will be better at it. Are you like me and can’t handle the mess? Or do you have the answer to a successful messy play session that you can share with me? Oh I absolutely love messy play! 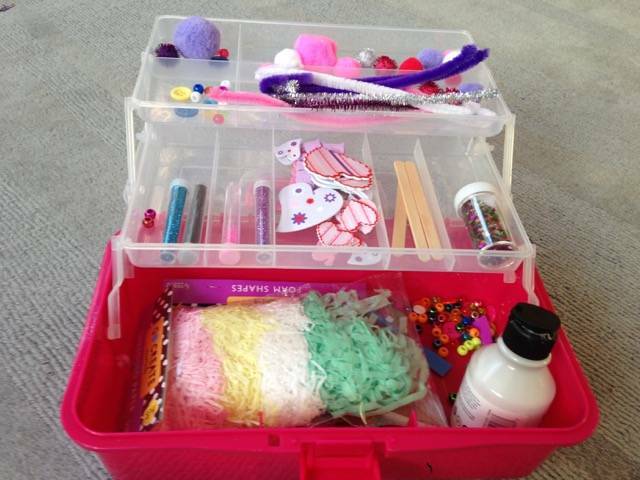 I love crafting with my little one but the mess does bother me. I just have to grin and bear it and try to ignore the mess as I know how much she loves it too. As for the playdoh- I have given up! It’s all a mess; I did however just stock up as sainsburys were doing a clearance of 4 pots for 90p so I can always swap them out when they get too mixed up! I love messy play! Get your hands in that paint, yes rub it on your face! But Bear, my grandson hates dirty hands. He got very concerned with paint on one so no handprint pictures for Mummy. I’m also the same with weaning, as long as it’s not thrown and he’s attempting to eat I have no,problem with it. His Grandad and parents on the other hand get stressed by the mess. We used to do our messy play on dry days in the garden….then I’d strip them off before taking them in to the house and straight in to the shower on the most messy play days! To be honest I used to enjoy it as much as they did, but yep slightly hated the mess afterwards. 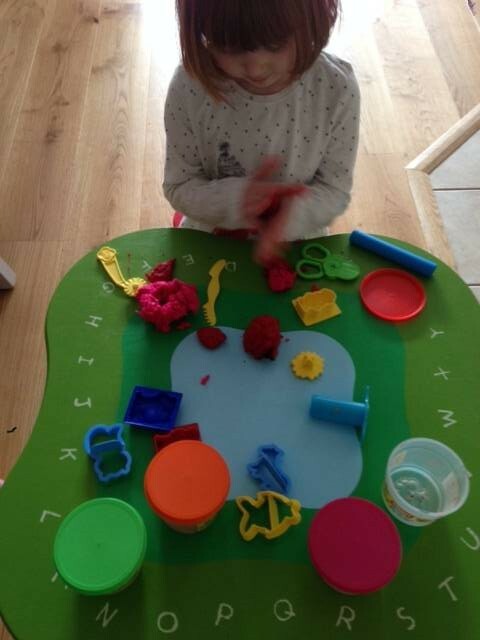 As a reception teacher I can’t wait until Layla-Rose is old enough to do messy play! I have some ‘mess free’ messy play ideas for you. The first is roller balls you place the paper in a tray with some dabs of paint on then place a range of plastic balls inside and then let your little ones hold the tray and move the balls around creating their own pattern. It looks great, you can choose the colours and its (nearly) mess free. Have you made your own play dough? Your children would love to help and you can make just a lot of one colour with a scent so at school we have green mint play dough one week, purple lavender play dough another week etc.